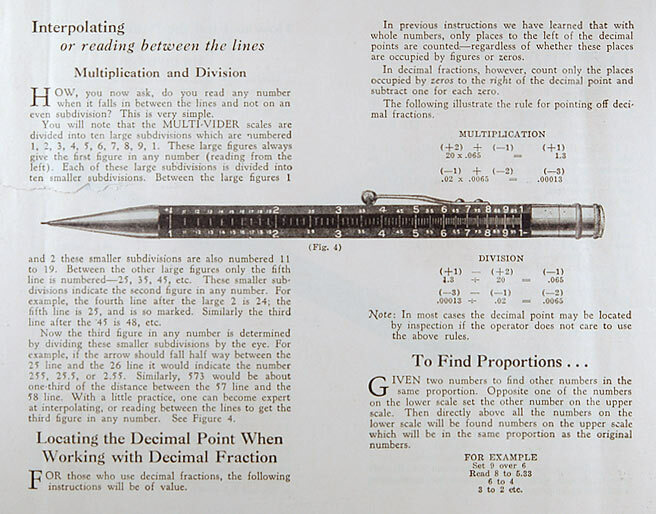 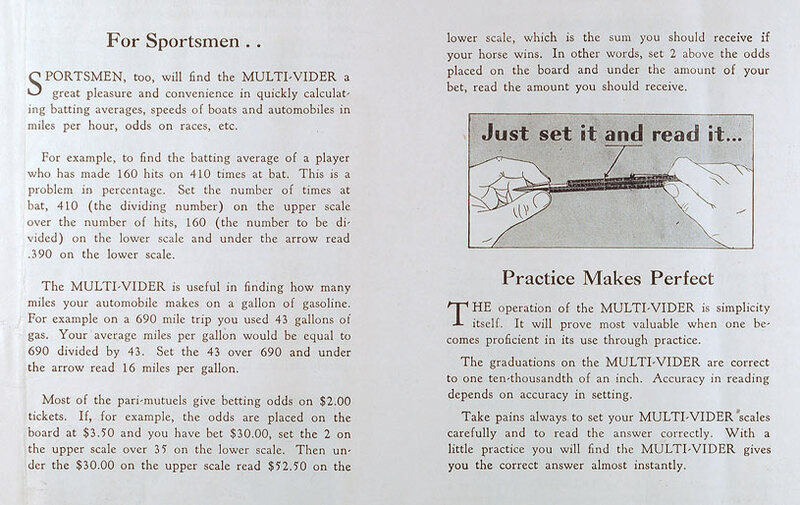 The Ruxton Multi-Vider was a high quality combination pencil and slide rule, produced at the end of the 1920s into the early 1930s. 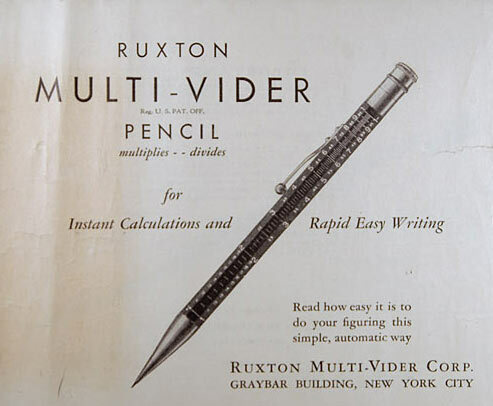 Ruxtons are large pencils, with octagonal Bakelite barrels. 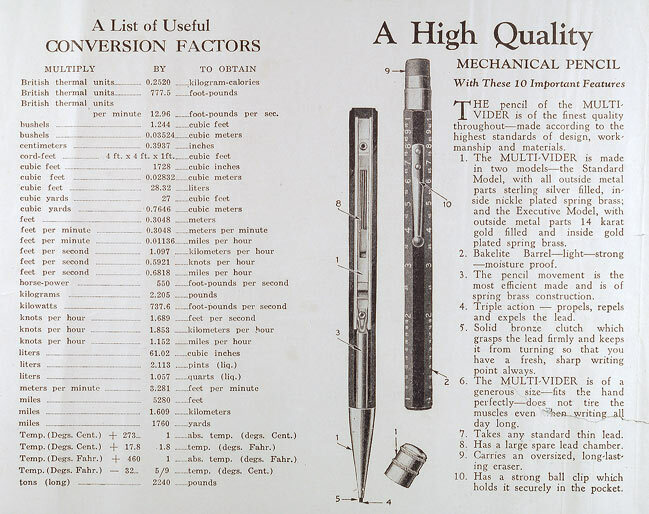 They are most commonly found in black, with trim either 14K gold filled (Executive) or sterling silver filled (Standard). 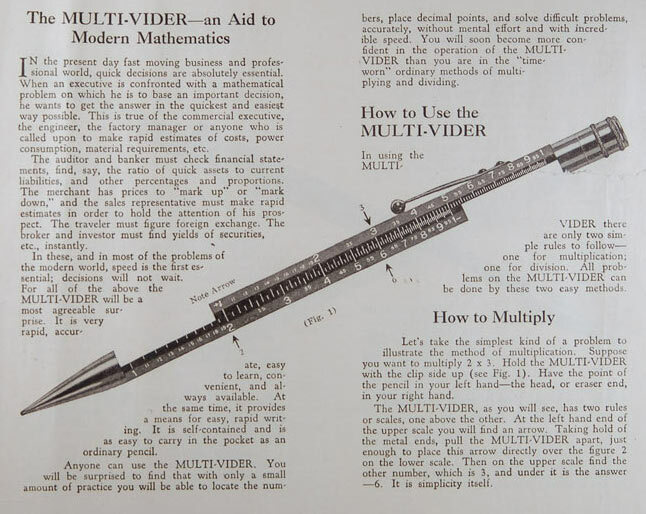 Less common are Multi-Viders with one barrel half black and the other red, and still less common are colors such as white, red, blue, and green. 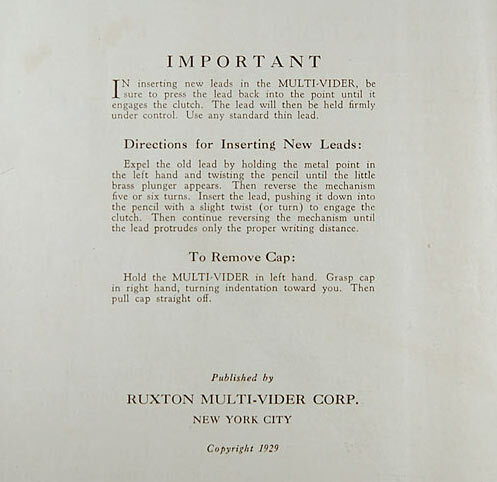 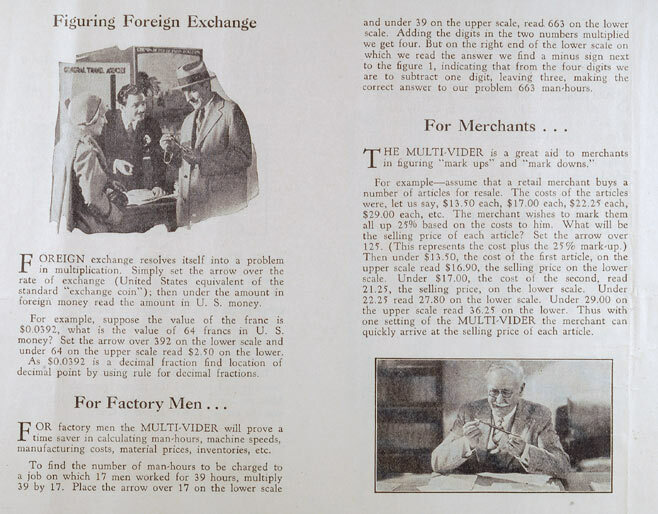 Ruxtons were sold with an instruction booklet, reproduced below. 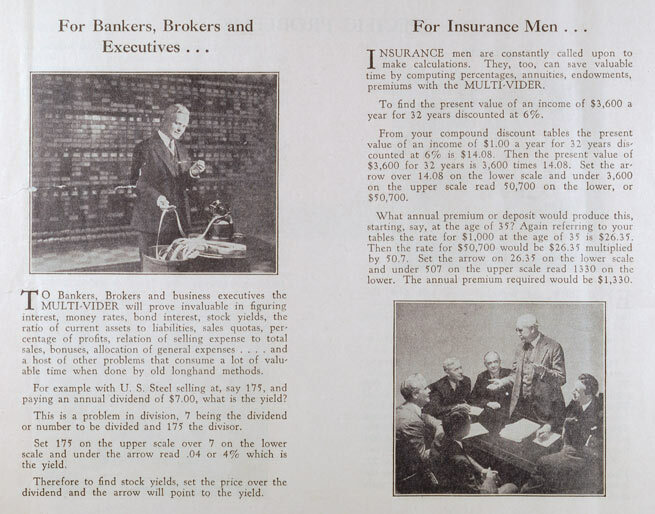 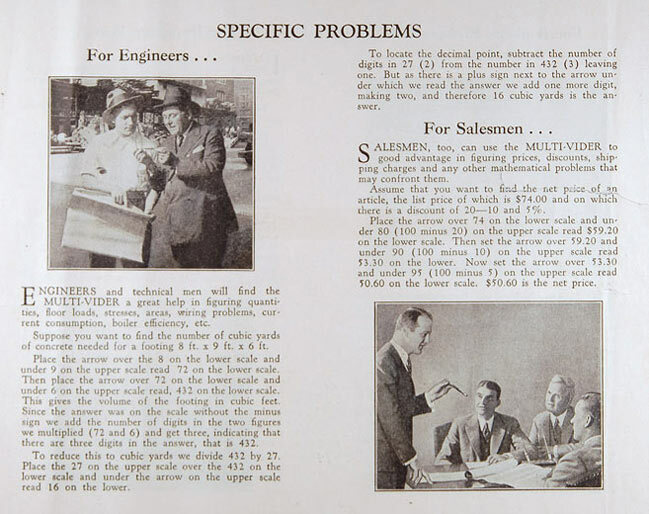 For more on the Ruxton's history see Jon Veley's blog and Retro Calculators.